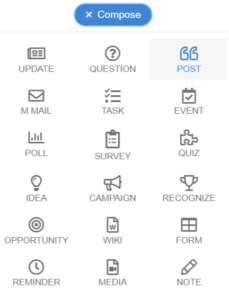 How Can a Post Creator Share Post with Multiple Teams in Mangoapps? 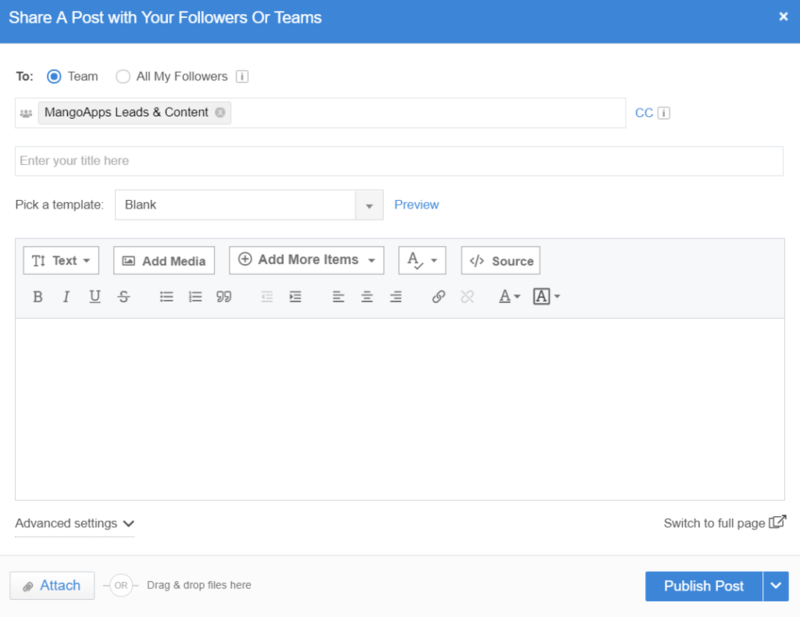 /Pages & Posts /How Can a Post Creator Share Post with Multiple Teams in Mangoapps? 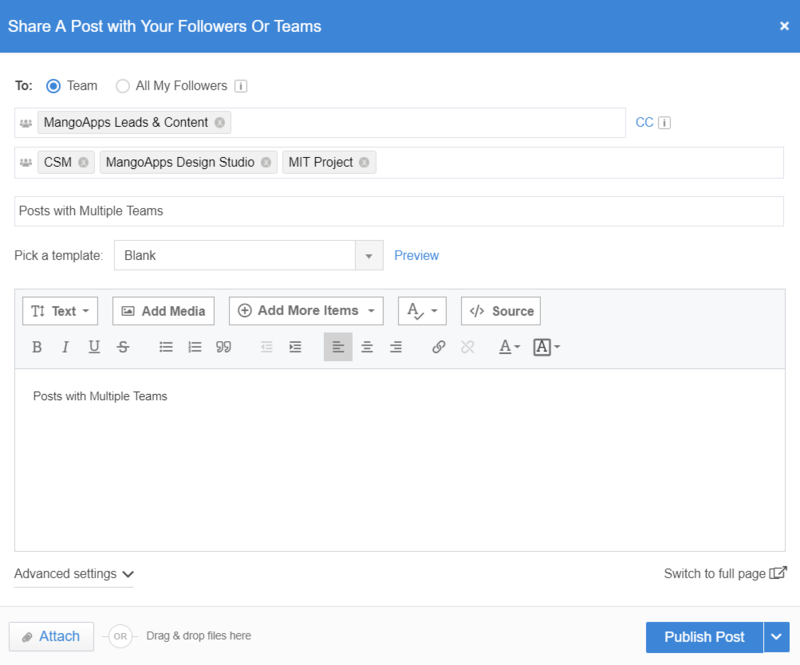 Posts shared in one team often need to be shared in another team; In MangoApps post created in one team can be CC’ed to multiple teams by the post author. 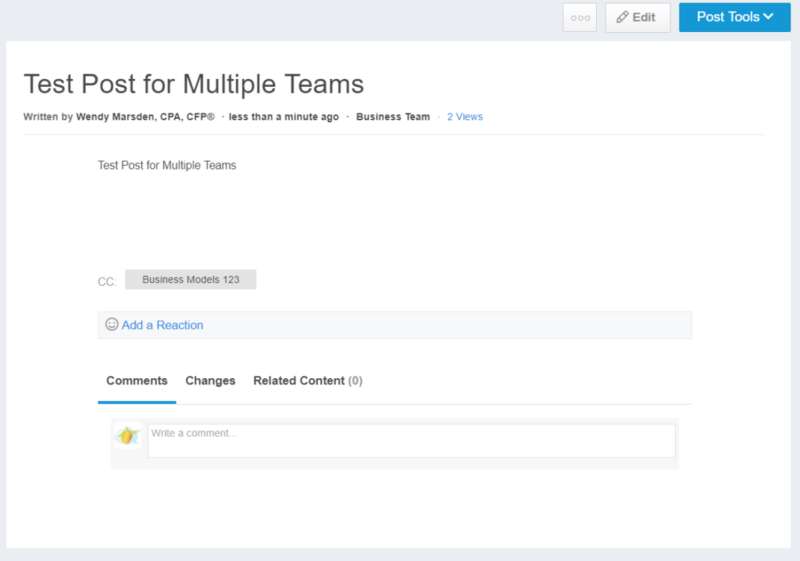 This will allow members from both the primary team and CC’ed teams view and engage over the post content. 4. The post will then be visible under all the teams (including CC’ed teams) and respective team member can view the post content. Feed will be generated for you only for the primary team where you have created the post. How Can I Embed Weather Updates in Pages? How to Share a Company Post As a Story? How Can an Assistant Post on Behalf of Executive in Mangoapps? How Can an Admin Create and Configure a Quick-link Widget in Mangoapps? How Can Intranet Admin Schedule a Company or Team Post? How Can You Create Posts in Mangoapps Using Templates?